Mirrorless cameras may well be the future, but I'm not buying the hype that they're revolutionary. Not yet anyway. I got an email the other day from a good friend who has made the switch to a mirrorless camera system where he linked me to a recent Bloomberg article and said, “See, we’ve gone mainstream media now. It’s only a matter of time before the revolution takes over the world.” Now, even though he wrote this with his tongue firmly planted in his cheek, as I read the article I felt it was quite reflective and symptomatic of the hype surrounding mirrorless systems at the moment. And with Nikon set to release its much talked about full-frame mirrorless system next week, that hype is only going to get louder. The key word to me in my friend’s email was “revolution.” A revolution can be described as a very important change in the way people do things. It’s used in the Bloomberg article and seems to be ubiquitously associated with mirrorless systems, almost akin to when we made the revolutionary change from film to digital many years ago. I don’t believe for a second that mirrorless systems are revolutionary simply because I don't believe they’ll change the way photographers do things. Nor will they represent some kind of seismic shift in the way that going from film to digital did. Going from film to digital was massive because it fundamentally changed the entire photographic process, from shooting out in the field to post-production. Changing to a digital system meant you could store thousands of shots on a storage device such as an SD card and see immediate shots you’d captured on the back of your camera. That was revolutionary because it allowed you to become an instant editor and simply delete photos you didn’t like and take them again, perhaps from five different angles with five different exposure settings. That wasn’t possible in the film era, firstly because you had a limited number of exposures on film and also because you couldn’t see your immediate results or judge their quality in camera. You had to wait until you got them back from the developer. Which brings us to the post-production phase. By going digital and storing everything on an SD card or similar, it removed the need to take your shots to a developer and meant you had total control over the editing process on the computer and the look you could achieve. On the other hand, with film, you were almost entirely reliant on the capabilities of a developer in the darkroom and typically had no control over any of the editing, colors, highlights, shadows and so forth. 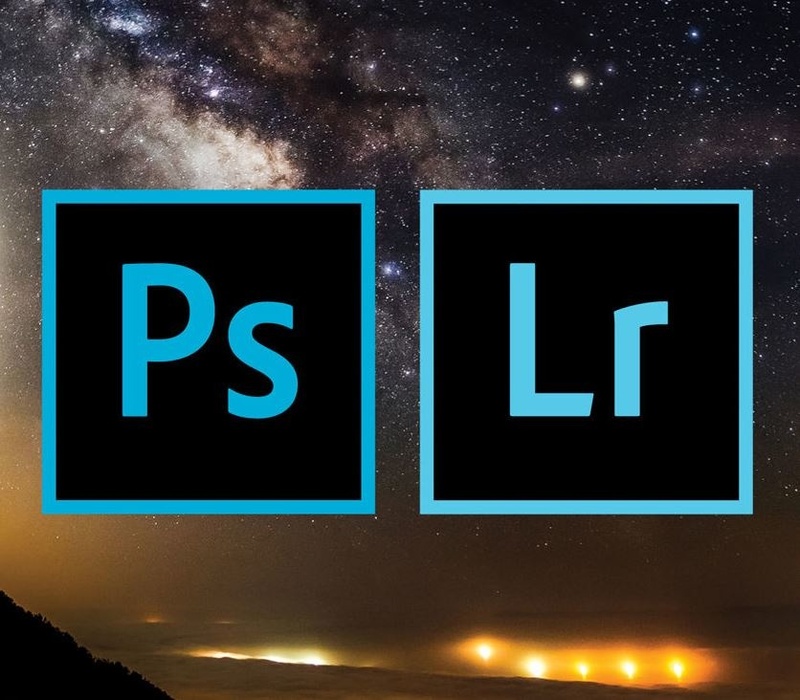 In the current digital age with software such as Photoshop, you can create pretty much any look you want based completely on your own preferences and editing skills. So going from film to digital was genuinely huge and revolutionary because it fundamentally changed the whole photographic process and permanently repositioned the way we approach photography. But going from a DSLR with a mirror inside it to a camera without a mirror? That is not revolutionary in the sense it will shift the paradigm like the film to digital shift did. It is a mechanical modification that offers some benefits but doesn’t change the process at all. Mirrorless systems are still digital cameras. With both DSLRs and mirrorless systems you put a storage device like an SD card in your camera, you go out into the field or into your studio and you shoot. After each shot, you check the back of your camera and decide if it’s a keeper or not. If not, you trash it and take it again. Nothing different there. Then when you get home, you still need to remove your storage device from your camera, slot it into your computer, open up your software of choice, select the photos you want to work on and then start editing. The whole process is exactly the same, whether you’re using a DSLR or mirrorless system. The only difference is that one camera has a mirror inside it and the other one doesn’t. Everything else is still the same, which means it’s nothing like the fundamental shift in the photographic process we had when we went from film to digital. To be honest, it kind of makes me think about the mechanical modifications in cars when they went from manual to automatic transmission. You can imagine the marketers at the time screaming “it has no clutch, you don’t need to change gears, you can just rest that left leg easily and relax. 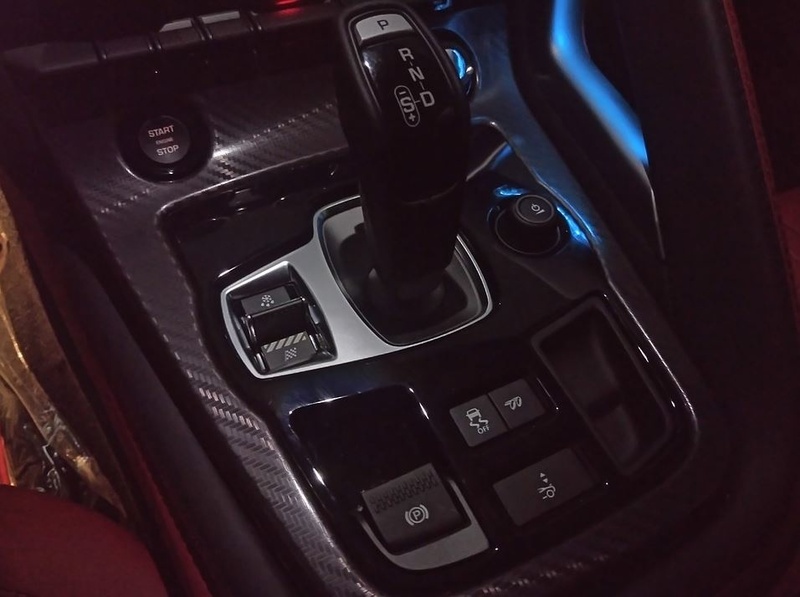 This will change your driving experience forever.” Sure, an automatic transmission made driving easier, and it was a big change, but it still didn’t revolutionize the fundamentals of driving. You still needed to open the door, sit in the driver’s seat, put the key in the ignition, turn the engine on, use the accelerator and brake, and understand road rules. The fact that most models of cars today are available in both automatic and manual show that it didn’t change things that much. Indeed, I drive an automatic here in Japan and a manual when I’m back in Australia. And I think nothing of switching between the two. Some people like auto, while others prefer manual. You can get outstanding cars in each but fundamentally, automatic transmissions didn’t change the driving process that much. 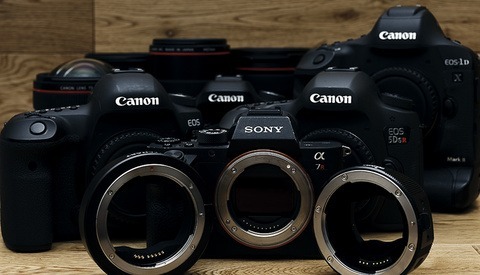 And for the time being at least, I think it’s pretty much the same with competing DSLRs like my Canon 5D Mark IV and the mirrorless Sony a7R III – both are outstanding cameras that are slightly different mechanically. When words such as revolutionary are used, it’s hard not to get swept up in the hype and hyperbole surrounding it all, but I think we all need to take a step back for a moment and be a little more circumspect and analytical in our judgments. 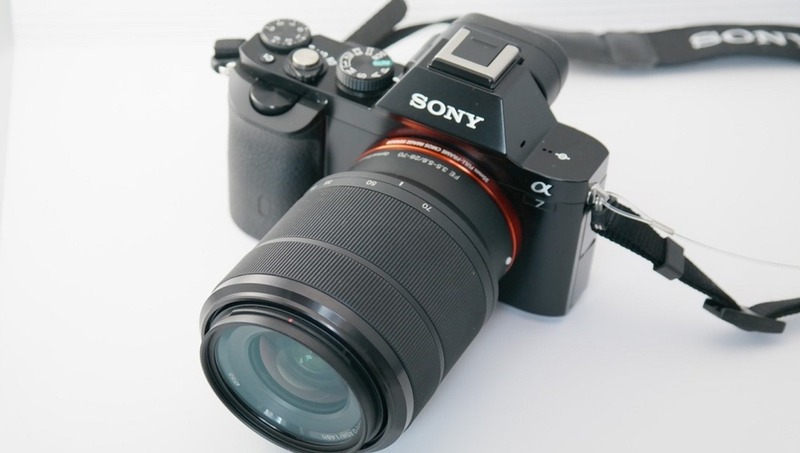 Mirrorless systems bring with them some definite advantages, while they also have their challenges. So if you’re just getting into photography and you’re wondering which you should start with between a DSLR and mirrorless system, I think you’re pretty good with either. But if you’re a current owner of a DSLR and you’re pretty happy with your lot, then I don’t see any real need to make the switch to a mirrorless system just yet. And despite what marketers and fancy talkers may tell you, they certainly aren’t revolutionary. Not yet anyway. Are people who tell you, "You need to switch to mirrorless", "You will switch to mirrorless", "You need to use Sigma lenses", "You should switch to Fuji/Sony/Nikon/Canon" etc... annoying? YES!!! Exactly my thoughts! Your last paragraph sums it all for me. I'm perfectly happy with my D810 with current lens lineup. I didn't even consider D850 although I know it's a better camera. When I feel my gear is limiting what I can do in the field then that's when I upgrade, not because it's the latest and greatest out now. You make a very good point. Only when you feel incurably limited with your current gear should you think about upgrading. Until then, what’s the point if you’re happy with what you have...? For *me*, mirrorless has been revolutionary. Well, more that live view technology is revolutionary and an EVF is the top of that pile, for now. It's fundamentally changed the way I approach a shoot. For someone else? That's up to them. I know people who get a headache when they look through an EVF. So probably not for those guys. But for me going back to a DSLR is not a user experience I enjoy, anymore. The end of the dSLR will not be a choice from the photographers but from the manufacturers and their shareholders. It cost them less money and mechanical expertise to manufacture a MILC. dSLR will still be there, but far more expensive and more niche. The only hope for dSLR is the rise of a new sensor unable to stream a video but could gain huge advantages from the slower paced capture moment SLR gives to sensor. Forget the camera revolution, start with the lenses. Metalens could be it. But for now ill take a camera that could warp the sensor to match lenses "no more soft corners", Bluetooth connect to EVF eyewear "see through the lens from anywhere", slide in SSD drives "unlimited storage". SLR's have mirrors and pentaprisms to allow the photographer's eye to approximately see what the film sees. Mirrorless technology allows the photographer's eye to see exactly what the sensor sees. This is what makes it revolutionary. DSLR's were only ever a transitional technology. 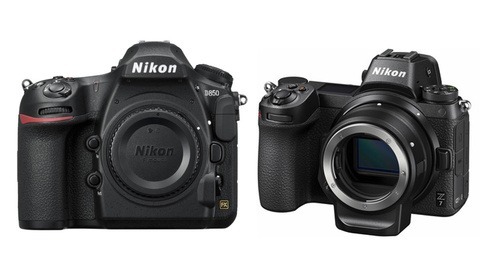 BTW, I believe the D850 is Nikon's last DSLR. They've moved on, technologically. If they were “only ever a transitional technology” why were they made in the first place? If the future was that clear why didn’t we go to mirrorless immediately? 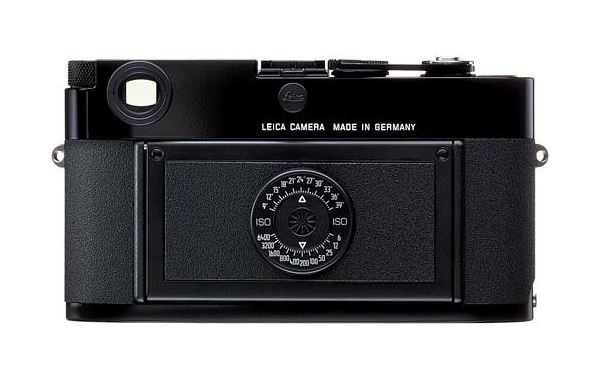 The mirrorless technology had to develop and the camera makers were probably quite content to stick with existing SLR technology and just adapt the digital technology to it. Nice to see a balanced view on this topic for once, in contrast with so many contributers who have swallowed the marketing hype that everything photographic will change in the next 6 months. Photography will continue to evolve and human nature will not, as has been the case for a very long time. I can only speak for myself but in this digital age, the biggest improvements that come in my finished products are a result of my expanding skills in post-production rather than the camera I shoot with. Yeah I find myself in a similar boat, with much improvement to be had in my post processing abilities. Digital images do follow the "garbage in garbage out" rule that has always followed computers too, though. So I find that the greatest unrealised potential in my photography is still in the initial capture. But that's always a problem between my ears nowadays, because the ability of modern digital camera technology (both mirrorless and DSLR) far outweighs my ability as a photographer. Thank you, thank you, thank you. 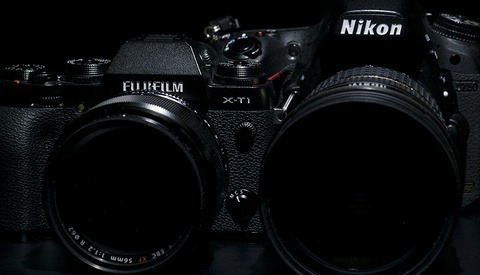 This mirrorless-hype irritates me highly. Of course we will move toward a solution without moving parts, just as we will replace HDD by SSD in all computers, ...when the price will be right. For now, I cannot see a justification to pay more for a camera with (say) 1/10th of components than a DSLR, and forcing me to replace all my lenses, and having a fraction of battery life. Fascinating is that the name "Mirrorless" states what has been removed, and not what has been gained. One of the web-zine publishers once wrote: Imagine Henry Ford would advertise his cars as "Horse-less Carriages". Really? Have you noticed how for years the EVF is "live like, excellent", and yet with every new model it gets "better"? Yea, better, no contest. But that proves just how "not perfect" it has been, and how much could have been improved in terms of refreshrate, color, visibility etc. This is an excellent article. Of course, it's going to initiate the blah, blah, blah, debate from acolytes from both sides which I can see is well underway in this comment section. For me the key point is this: "When words such as revolutionary are used, it’s hard not to get swept up in the hype and hyperbole surrounding it all, but I think we all need to take a step back for a moment and be a little more circumspect and analytical in our judgments." Once we make a decision to change we want endorsement with words like revolution whether it applies or not. For me the most important question is whether I will be able to look at a finished fine print and determine whether it was made in a mirror-less or a DSLR camera. Iain Stanley You know you are creating a 'HYPE' by using a title like the one above, don't you? Had a long response in mind for this but, nah it is not worth to help to spread this by another detailed comments google will rank then for you :) Happy shooting everyone. I believe it is revolutionary—at least it is for me. It allows me to do things that the DSLR (Canon) cannot do. It allows me to compose in an radically different way. It also allows me to attach lenses from almost any system. Your definition of revolutionary seems rather narrow to me and not in accordance to the examples given by most dictionaries and thesauri. You may be a decade late on this article. I believe mirrorless technology changed photography (in a revolutionary fashion) when the iPhone camera was introduced. The iPhone is now the most popular camera on the planet and has always been mirrorless. I credit the iPhone for single handedly creating Instagram and mobile phones for creating the exploding popularity of individual creators on YouTube. The current shift for professionals to switch to mirrorless was just inevitable. DSLR’s are dying, and I for one and happy about that. They reaped huge revenues with little to no innovation. Viva la revolution! "That was revolutionary because it allowed you to become an instant editor and simply delete photos you didn’t like and take them again, perhaps from five different angles with five different exposure settings. That wasn’t possible in the film era, firstly because you had a limited number of exposures on film and also because you couldn’t see your immediate results or judge their quality in camera. You had to wait until you got them back from the developer." Funny, the comments dogging current gen mirrorless cameras and the tech advances, don't shoot with mirrorless so it's a point of contention for them. Having shot SLR, DSLR, and now mirrorless, I can honestly say I haven't been this excited to use the platform since the D300 days of Nikon. The D850 is a great body, and a very viable tool. I'd still be with Nikon had that body entered the market before I left for Sony. The biggest downside is lack of real video focusing. If you can't shoot from your DSLR in mirror lockup mode 100% of the time without detriment, well, there's your answer.